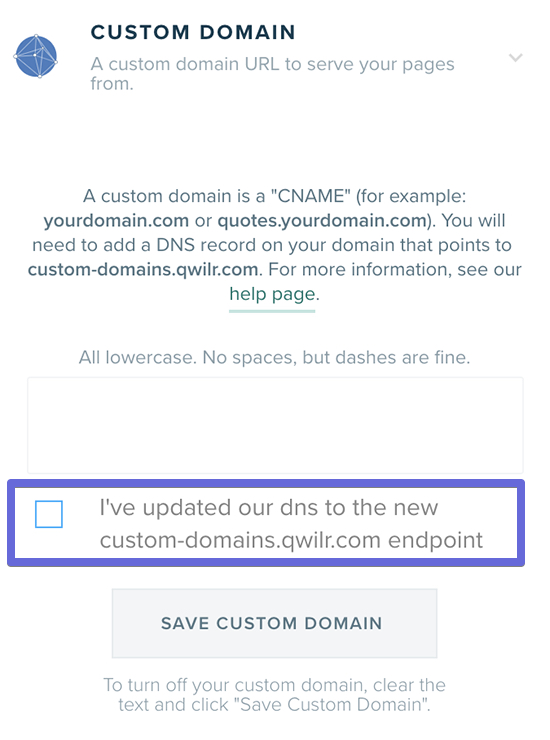 Qwilr's Custom Domains feature will automatically generate an SSL certificate for your new domain. However, any domains that existed prior to our recent SSL release will need to be updated to take advantage of that change. To do this you'll first want to edit your DNS and then update the setting within your Qwilr account. 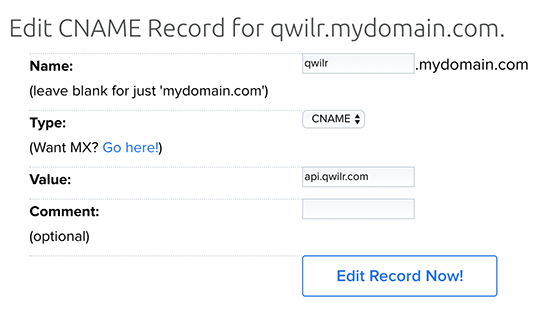 Your existing CNAME record points to api.qwilr.com and you'll want to edit that record to point instead to custom-domains.qwilr.com. To do that head to your DNS host (generally your web host) and look for your existing record. You should have an edit button next to it. This is an example from Dreamhost. From the above example, you'd click the edit field and then update the value from api.qwilr.com to be custom-domains.qwilr.com . Once you've made the above DNS change, give it a few minutes and then head into your account settings and check the box to confirm that you've updated your record. Once that's been done the links provided from the Share screen will always reflect your new https domain. For existing links the http version will automatically redirect to https for you.